When you make time for a getaway, you want to make sure you’re getting the most out of your trip. Here are some ideas for maximizing your vacation time in Columbus this summer. Through Sept. 5, COSI is hosting a huge exhibition on video games, called Game Masters. With three areas, including the historic origins of video games, to an arcade full of modern and classic games you can play (quarter-free) and a look ahead at the next frontier of games, you’ll find a lot to love. When COSI’s doors close at 5, it’s time to venture out to the varied arcade bars that have taken Columbus by storm over the last year. 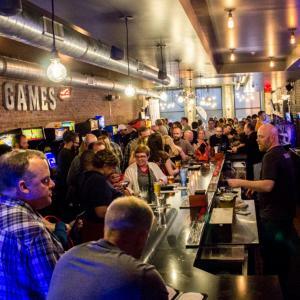 Near downtown, you can find 16-Bit Bar + Arcade, where free-play classic console games pair with cocktails and craft brews. Brewcadia, located above Barley’s Brewing Company, mixes pinball, arcade games and skeeball with a 40-tap beer list, including a big selection of Barley’s own brews. Pins Mechanical Company, opening this summer on 4th Street Downtown, will offer duckpin bowling, pinball and shuffleboard as well as creative craft cocktails - and an awesome patio. All these options are open until at least 2 a.m. If you’re even a casual art fan, this summer’s blockbuster Picasso: Experimentation, Change and the Great War exhibition at the Columbus Museum of Art (through Sept. 11) will beckon you to Columbus. With 50 works, focused on the WWI period from Picasso and his contemporaries, like Diego Rivera, Henri Matisse and Amedeo Modigliani will fill the newly built Walters Wing of the museum. Of special note - the exhibition includes four costumes designed by Picasso for the 1917 avant garde ballet Parade. 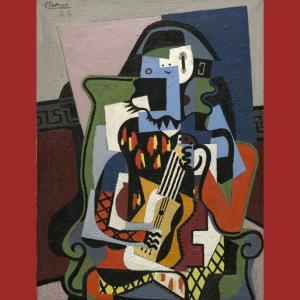 You can augment Picasso with a sweep through the rest of the venerable Columbus Museum of Art, a stop at the modern Wexner Center for the Arts on Ohio State’s campus and the Pizzuti Collection in the Short North Arts District. After these museums close at 5 p.m. (except for Thursdays, when it&apos;s open until 9 p.m.), it’s time to explore some public art along the Scioto Mile. 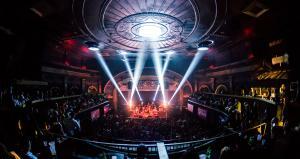 After dinner, check out some live music around the city. Just a few options include Notes in the Brewery District, Brothers Drake Meadery in the Short North, Natalie’s Coal Fired Pizza in Clintonville and Ace of Cups, just north of Ohio State’s campus. 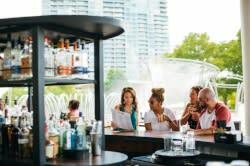 Another way to explore Columbus’ creative drinks scene is through pairing the city&apos;s Coffee Trail and Ale Trail. The Coffee Trail includes 13 local shops, 10 of which are within a mile of Downtown Columbus. With exacting quality standards, you’re going to find a roast and brew that you fall in love with. Pick up a passport at any participating shop, get four stamps and you’ll go home with a very nice t-shirt! While most of the shops are open by 7 a.m., it’s probably not wise to sip coffee too late into the night. So switch to beer with the Columbus Ale Trail! 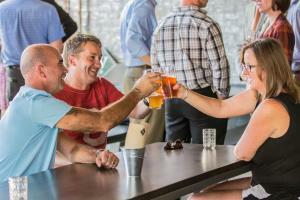 There are 29 local craft breweries in Greater Columbus, with 19 inside city limits. Brewer’s Row, a collection of breweries around 4th Street and High Street near Downtown, is a great place to start. Seventh Son offers delicious genre-busting brews in a handcrafted taproom, North High serves up classic English style beers, and Elevator, one of the first breweries on the scene, delights with award winning red ales and stouts. Wolf’s Ridge pairs outstanding beers with an outstanding food menu. For a special treat, try their Clear Sky Daybreak, a creme ale infused with coffee beans from the Short North’s One Line Coffee. Most open around 4 p.m., and remain open until at least 11 p.m.